Need an Incredible America’s Got Talent Act for Your Event? And have you seen the talents they put on there? From comedians to sand artists to acrobats and dancers, NBC’s America’s Got Talent has got to have it all! But…who is the best of the best? Well, we could go on and on about the talents the show has discovered, such as ventriloquist Darci Lynne and worldwide sensation Jackie Evancho, but who is the best? Who are The Champions of AGT? Who would we send onto a stage for an event without questions or guidelines, just simply the acts? Well, we here at The Grable Group have decided to do just that for you. We have put together your #winning team of incredible America’s Got Talent acts, each with their own talents and personalities that add to the group, to make sure that you know where you can go the next time you need someone to capture the audience and steal away their attention, if only for a night, at your next event. So grab your popcorn, fill up your Coke, and recline your seat back to the suitable comfort for you. All done? Good! Now, all you have to do is sit back, relax, and enjoy the movie! Comedians are just such a classic form of entertainment, you know? But the thing is, sometimes you have to shake it up a bit. So guess what! The first of the AGT Incredibles is the Not-So Classic comedian…Tom Cotter! 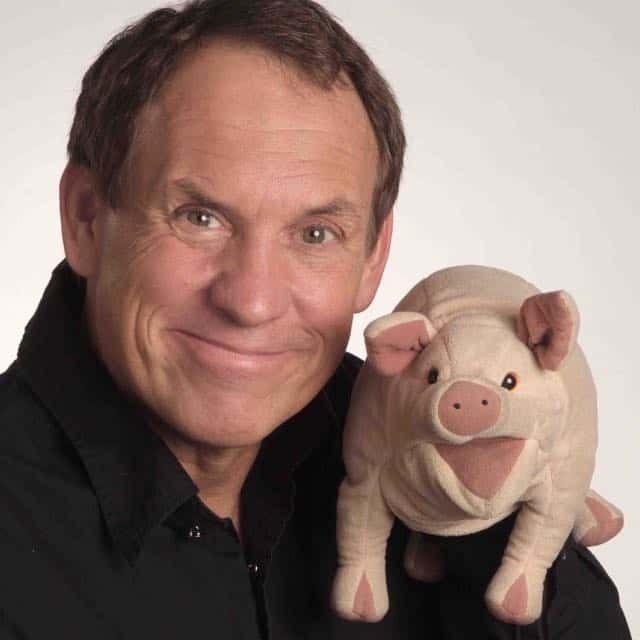 Yes, that’s right, the famous Tom Cotter has made it on our list of the top five acts of AGT and for a good reason too…You see, Cotter is no ordinary comedian. He doesn’t use knock knock jokes or a slow build up to an anticlimactic punch line. Nope! Tom Cotter is quick, witty, and very relatable. From college to kid’s movies, he has an opinion on everything, and believe me; it’s hilarious. So the next time you need a stand-up comedian for an event, check him out! We promise you won’t be disappointed in this Incredible America’s Got Talent Champion. You know those “ah ha” moments in life? Well, Joe Castillo had one of those moments the day he was sent to Home Depot. After seeing sand spilled on the floor, he began to draw in it, thus sparking an idea! What if he could use light and sand to tell a story? And that’s exactly what this Incredible America’s Got Talent Sand Artist did! Flashforward a few years, and suddenly, he’s in the finals on America’s Got Talent! How cool is that! Now, this serendipity sand artist is ready to perform at your next event! Have you heard the Christina Wells the Superb Singer? Oh my gosh, go check her out now if you haven’t already! She is among the most incredible America’s Got Talent music acts out there, especially for your event. With vocals that inspire and thrill, you can’t ever walk away from hearing her perform and be disappointed. The singing sounds so simple, but when it’s done well, there’s no simplicity about it. 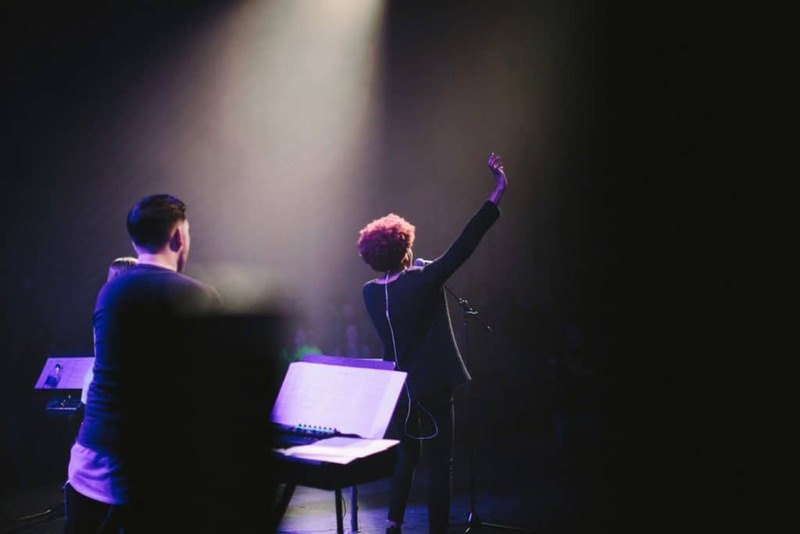 The complexity of the rhythm and vocals sung by Christina Wells are so intricate and beautiful, that no matter what happens you know that she is going to wow the crowd at your next event. Everyone loves a dynamic duo, and this act truly is the pinnacle of a team…Mary and Tyce Neilsen are a husband and wife team whose act is anything but ordinary. These two pair acrobatics and music perfectly and astonish the crowd every single time. Hearts will be pounding, and jaws will be dropping the moment this dynamic duo steps on stage at your event. This act will have the audience captivated in awe at your next event as the couple fling each other through the air at an alarming height. And all you have to do is book them! Meow meow meeeeow meow meow meow.” Did you catch that? No, okay, well allow me to translate for you. 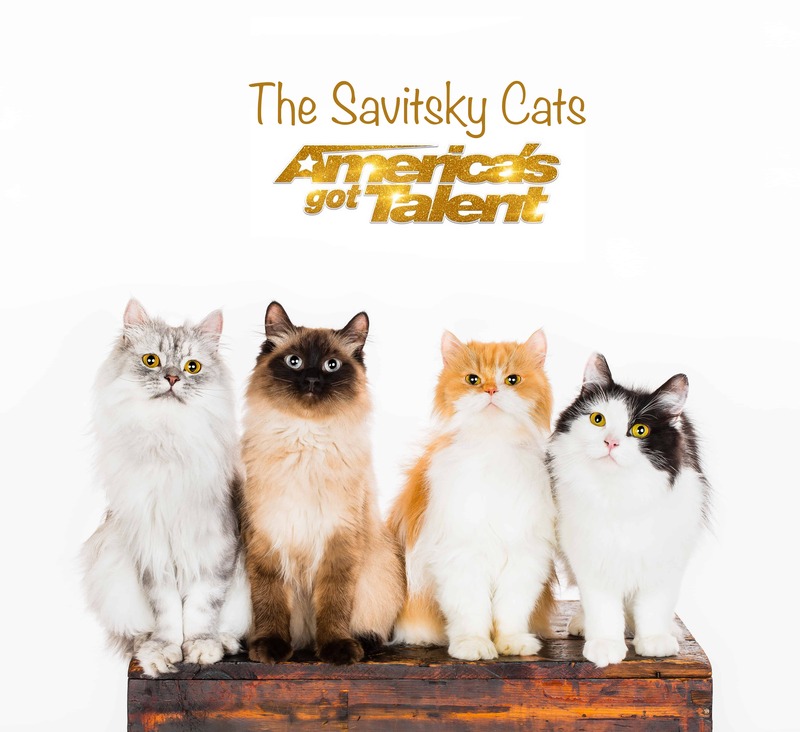 “You should hire Savitsky Cats at your event.” Why would these friendly felines, the most adventurous of the acts, be the best option for you, the exhausted event searcher? Haven’t you already been looking enough for a wonderful source of entertainment? Well, allow me to explain…dogs are loud, cats are not. Dogs break things; cats glide gracefully through the air. Besides, who doesn’t want to see cats do tricks in real life rather than YouTube videos? So, who’s your favorite of The Champions of America’s Got Talent? Is, is the classic Dynamic Duo, or the Not-So-Classic Comedian? What about the Superb Singer or the Serendipity Sand Artist or the Most Adventurous of the Acts? Whoever it may be, make sure to hire them while you still can! After all, all good things must come to an end, and we never know when that will be. The time is now! Seize the day and hire an Incredible America’s Got Talent performer for your next corporate event today! 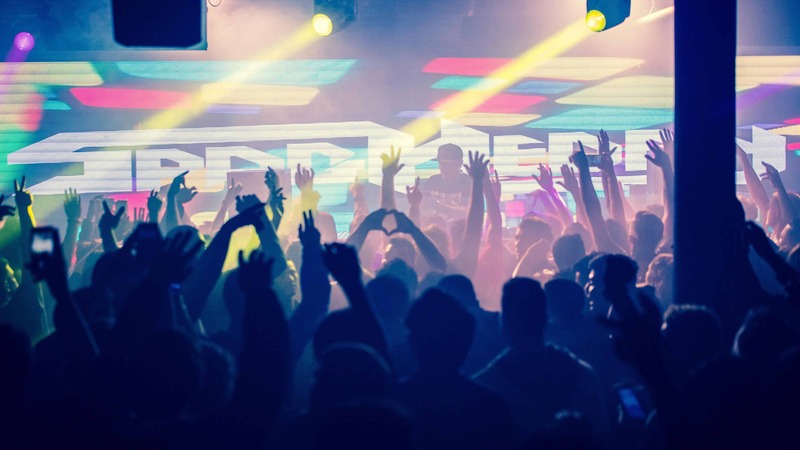 When you want to entertain the audience at your event, what you should look into is hiring performers who will offer an outstanding experience. If this strikes a chord with you, then you’ll be glad to know that this article has exactly what you have been looking for. It features a set of talented comedians which will offer the guests an experience they will surely remember! When you combine a ventriloquist, a musician, a magician, and a comedian into one entertainer, you get Taylor Mason. He is the embodiment of what it means to be a jack-of-all-trades in the entertainment industry. He can mix all his talents into a well-rounded experience which contains music, unexpected elements of magic and humor. All his talents, however, are surpassed by one unifying skill – his unique brand of comedy. He has been across the country performing in different types of venues, from clubs to churches, to cruise ships and private corporate parties. He can fit every kind of audience without any hassle. The secret to his universal appeal comes from the fact that his comedy routine is customizable and everyone can find something about it which they can relate to. His observational comedy draws parallels to the simple experiences of life, and that’s why people can easily connect to his humor. Being named The World’s Funniest Comedian means that you’re doing something right. Jeff Allen is the man who deserves this honor, as he is the type of comedian that takes humor seriously. The stage is his workplace, and his primary goal is a job done well! 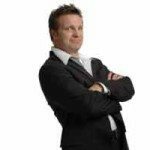 Jeff Allen’s comedy routine consists of clean and all around fantastic observational humor that’s bound to get a good laugh out of everyone sitting in the audience at your event. 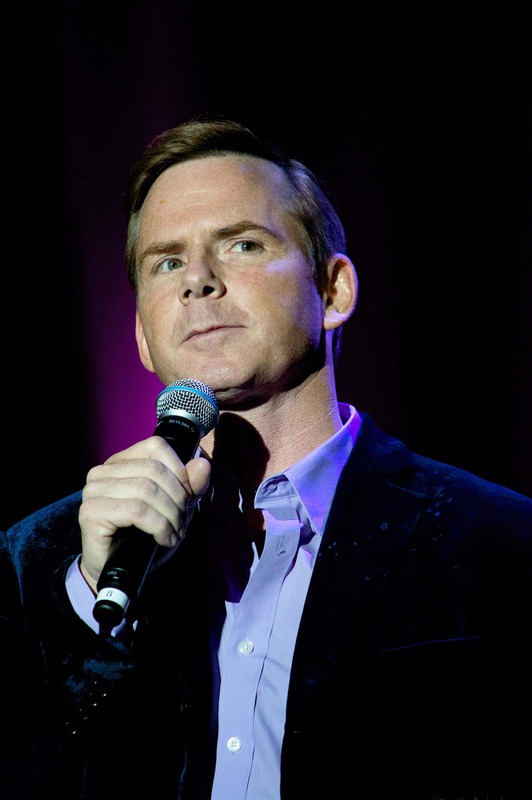 Besides the massive doses of fun, Jeff always aims to inspire his audiences through his way of still encompassing a meaningful message within the jokes he’s telling. He has extensive industry experience, having performed in small club venues, on television and you can hear him on large gala-like events. 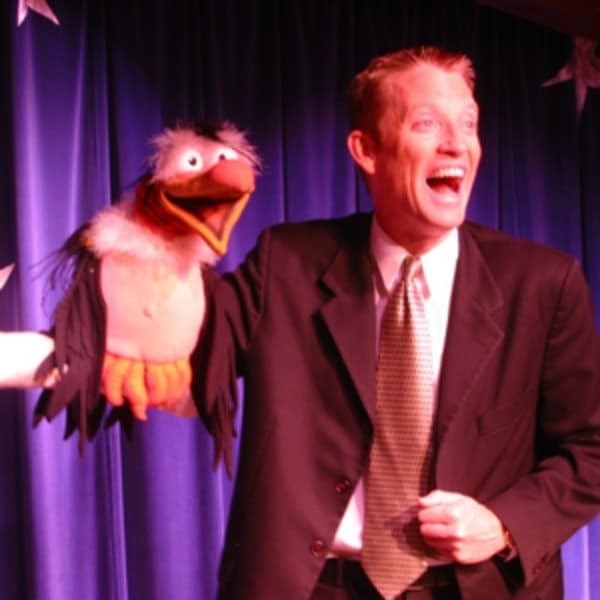 With the experience that he has accumulated throughout the many years performing on stage, Jeff is ready for any audience. Keeping up with the theme of talented comedians, we have Daren Streblow. He is a versatile comedian with quite a peculiar style of observational comedy. It all started during his childhood, which Daren describes as being chaotic and heavily driven by a vivid sense of imagination. Eventually, upon reaching teenage years, Daren would work at a radio station which ultimately sparked his interest in entertainment and comedy. Since then, Daren’s career has been on the rise. He has performed on all types of events, for many different kinds of people. Some of the highlights of his career have been when he opened for big names such as Weird Al Yankovic or Brad Stine. You can catch Daren performing in front of formal or informal audiences, his type of humor fits any venue. Find More Talented Comedians Right Now! We hope that the great comedians featured in this article have shown you some of the benefits of making entertainment a top priority at your next event. If you are interested in booking them or if you’re on the lookout for other talented comedians, then do not hesitate to call 615 283 0039 or to browse our catalog. We’re always happy to hear from you!